There is so much buzz around big data. 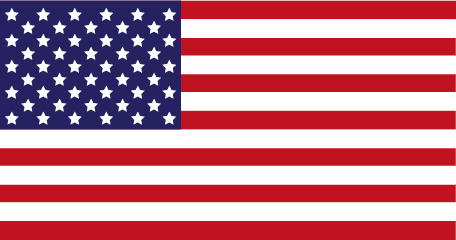 We all need to know what it is and how it works. But what will set you apart from the rest is actually knowing how to use big data to get solid, real–world business results and putting that in place to improve performance. Big Data will give you a clear understanding, blueprint, and step-by-step approach to building your own big data strategy. 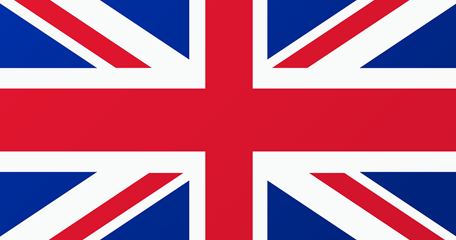 This is a well-needed practical introduction to actually putting the topic into practice. Illustrated with numerous real-world examples from a cross section of companies and organisations, Big Data will take you through the five steps of the SMART model: Start with Strategy, Measure Metrics and Data, Apply Analytics, Report Results, Transform. This book won the Chartered Management Institute’s CMI Management Book of The Year 2016 Award (Futures Category), which is run in association with the British Library. It also won the WHSmith best business book award. 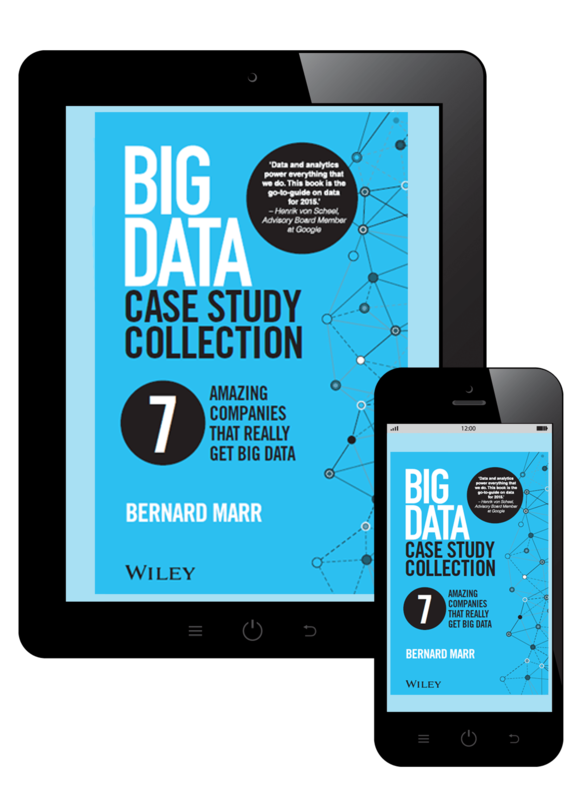 While Bernard is clearly ahead of the pack on Big Data, the brilliance of his book is in its timing. Just when we were starting to feel let down by the over-hyped promise, he brings Big Data into sharp focus and spells out his tried and trusted (“SMART”) approach to help us tackle the greatest opportunity (or threat) of our generation. No more excuses! Like me, Bernard Marr believes that the focus of big data should be on big outcomes. In ‘Big Data: Using Smart Big Data, Analytics and Metrics to Make Better Decisions and Improve Performance’, Marr emphasizes that before thinking about data, you must think about your strategy and the big questions big data can help you answer. What a thought-provoking and enjoyable read! The powerful, yet simple, SMART model will allow anyone to take advantage of big data in so many different ways, from improving profitability and customer retention to winning sports games! Each chapter will trigger fresh ideas and identify new opportunities to better leverage data in your company. This is a SMART book by a SMART author. 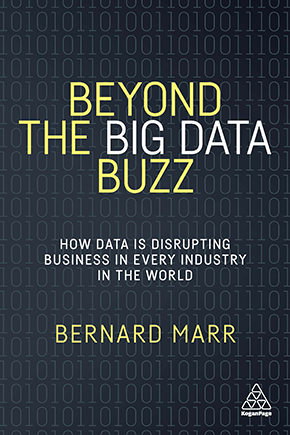 Bernard Marr goes beyond the hype of big data, providing real life case studies and action points for the manager looking for the competitive edge. 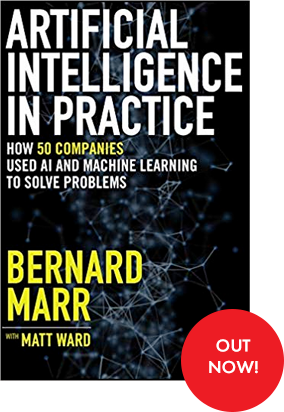 Bernard Marr has done it again – taken a complex subject and broken it down into simple pieces so that business leaders can devise practical strategies for exploiting the opportunities presented by big data. This book is a must-read for anyone trying to understand and leverage big data. Dave Kellogg, CEO, HostAnalyitcs, Inc.
Data and analytics power everything that we do. This book is the go-to-guide on data for 2015. A brilliant piece of work! Bernard Marr is a master at synthesizing a complex set of topics into salient points that practitioners need to know. 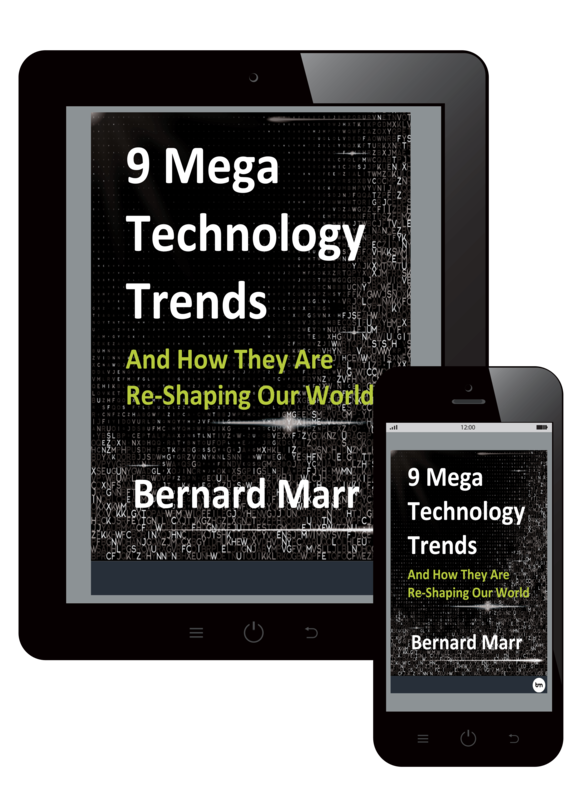 In his newest book, Bernard has boiled down the big data ocean into a simple and practical SMART methodology that will help organizations extract real value from a dizzying array of data, tools, and technologies. A hype usually conceals lack of substance. The big data hype conceals something else: The enormousness of its impact on business and society. A lot of big changes are already taking place but many of us are still blind to these and the opportunities our companies might be missing. Marr’s book “Big Data” is a skilful guide that helps to not underestimate the impact of big data. Not a surprise, Marr has consistently been a guiding light in the field. Frank Buytendijk, Research VP, Gartner Author of “Socrates Reloaded”, “Dealing with Dilemmas” and “Performance Leadership"
This book will help you unravel the mystery of big data. It simply lifts any confusion caused by buzzwords and technical terms that are thrown about when people talk about big data. The book provides many examples of organizations making sense of a variety of data to achieve real business impact. The book’s “SMART” approach will help you avoid the common and expensive mistake of gathering a mountain of data with no notion of what to do with it. 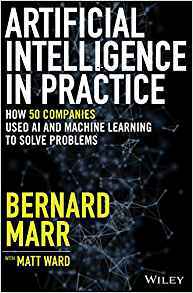 Being smart, Bernard Marr has created an enjoyable book that describes the world of Big Data and Analytics and how this will completely change our business world. Is Big Data a buzzword or does it have practical applications in business? Bernard Marr goes beyond the hype of Big Data to provide business people with a smart solution to understand where we are, where we are trying to get to and what data and tools we can employ to help us get there. 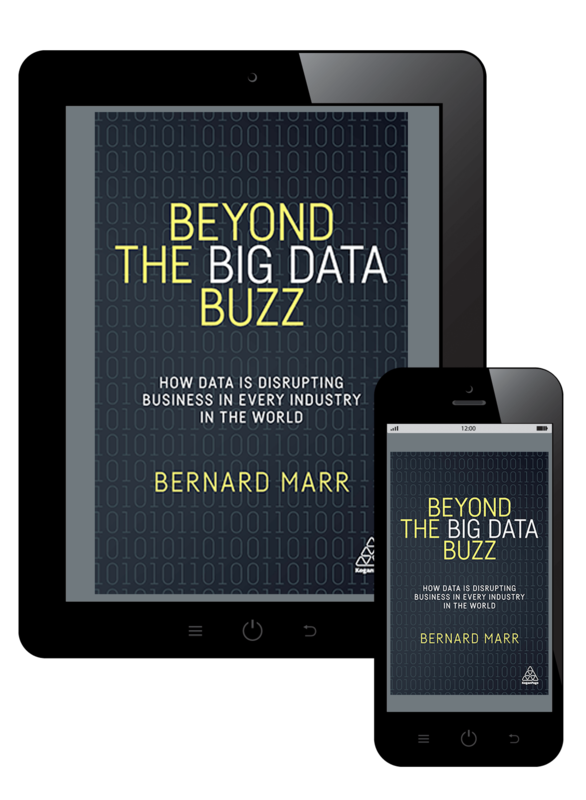 Bernard Marr’s Big Data provides a lucid, practical guide for managers seeking to leverage the explosion in data and data analysis for productivity. In a convincing fashion, Marr moves beyond traditional understandings of the emergence of big data in business practices as a technical issue and construes it as a managerial issue rooted in both leadership and strategy. The message is that data is meaningless without the ability to understand it or to communicate what that understanding is. In a world where 90% of all data has been created in the last two years, Big Data and analytics offer massive opportunities for consumers, corporates and governments. Bernard’s book Big Data should be essential reading for any manager because it provides you with a pragmatic guide to realizing the real value of the fourth production factor: data! It is a very practical book that will take you beyond the hype of Big Data. Using Bernard’s SMART model to data analytics will help you dramatically improve performance through data driven decision making! This is a practical, insightful, no nonsense book on Big Data that will provide a 360-degree view of how Big Data impacts our life and business. Bernard is an awesome simplifier and thought leader who presents the complex subject of Big Data in a way that everyone can understand. Bernard leverages his years of experience to provide a practical roadmap for quickly realizing real returns on your Big Data journey. You can cut through the hype associated with the latest management fad which is Big Data with the help of Bernard Marr who reminds us that “the real value is not in the large volumes of data but what we can now do with it”. And “The reality is that most businesses are already data rich, but insight poor”. The recommendation is, focus on the Smart Data, not the Big Data. In doing so, regardless of size or budget, you can harness the advantages and become a Smart Businesses. In the midst of an unstructured world of novel possibilities, I finally found a consistent framework that will help making Big Data a reality in our business strategy execution. It’s not about technology, but how to transform our business to cope with the new century of opportunities. Unlike so many other books about Big Data, this one is focused on the business value of Big Data. This practical book provides a step-by-step approach and countless real-world examples of how to turn data into smart insights that can transform not only businesses but also the ways we deal with social, political and health issues. Bernard has written a must-read book for anyone who wants to understand the data and analytics revolution.